Abingdon, VA: The Crooked Road has opened the application period for Cultural Events for the 4th annual Mountains of Music Homecoming, June 8-16, 2018. Cultural and civic organizations, colleges, churches, businesses, and individuals are encouraged to submit applications to present authentic cultural events as part of the Homecoming. In 2017, 47 communities in Southwest Virginia participated in the Homecoming through Crooked Road concerts in 25 different communities and over 130 cultural events such as community meals, craft exhibits, canoe floats, jam sessions and many other experiences unique to the communities of the region. Eligible Cultural Events fall into categories including: Community Meal and Food Events, Community Hosted Concerts, Visual or Performing Arts, Agritourism, Participatory Events, Learning Opportunities, Outdoor Events and Jam Sessions. 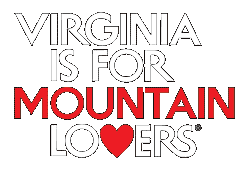 Cultural Experiences focus on traditional mountain music, culture and arts and should provide authentic views into SWVA heritage and culture. The Cultural Events are meant to enhance the appreciation for what makes each community exceptional. Mountains of Music Homecoming Cultural Event applications will be accepted online only from November 1, 2017 to January 9, 2018. The application form for proposed cultural events can be found on the event website at www.mtnsofmusic.com. Proposed cultural events will be reviewed in January and applicants will be notified of their application status by no later than February 1, 2018. Cultural Events are marketed by The Crooked Road and local affiliates with The Crooked Road at no charge to the presenter. Detailed information on the Homecoming’s Cultural Events will be featured on the MoMH website, the 76-page Homecoming Guide, community programs and social media. In addition to cultural experiences, Crooked Road concerts will be held throughout the Mountains of Music Homecoming. These Crooked Road concerts present the finest traditional artists the region has to offer as well as national and international touring artists. Known internationally as a mecca of old-time, bluegrass, and gospel music, the 330-mile long Crooked Road connects the home places of some of the most cherished figures in American music – the Carter Family, the Stoneman Family, the Stanley Brothers, and bluegrass pioneers, Jim and Jesse McReynolds, among others – and spans a region celebrated for its beautiful landscape and seminal contributions to the nation’s art and music. For more information about The Crooked Road’s Mountains of Music Homecoming, call 276 492-2409 or visit www.mtnsofmusic.com to sign up for e-newsletter updates.